Best Of Humboldt: Food, Etc. Best Of Humboldt 2015 » Food, Etc. Wondering where all the boys are? They're in Toni's yard, where the thick spoon-and-straw milkshakes have summoned them. You're going to need a minute to choose — boysenberry, mocha, chocolate malt — the flavors are legion. Normally stoic Journal News Editor Thadeus Greenson speaks of the peanut butter chocolate shake with wide eyes. Indeed. Spiked with a dollop of peanut butter, it's substantial enough to redefine "liquid lunch." Of course, if you're dipping hot, salty fries, go vanilla. That's just the natural order. 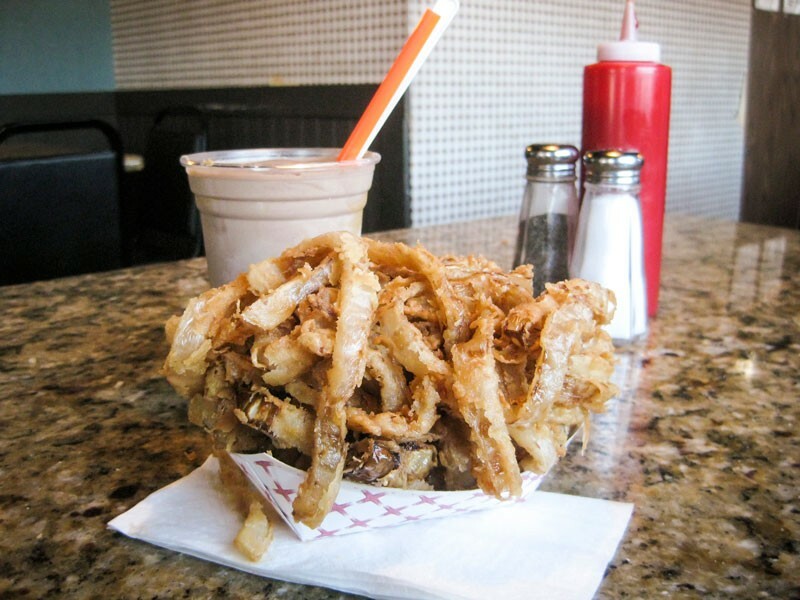 Speaking of fried, Toni's also won the battle for the One True Ring by the skin of its onions against Surfside Burger Shack. (Local restaurants take note: Both establishments dip their own rings instead of frying up the frozen kind.) 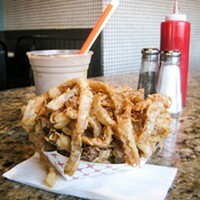 What you get at Toni's is a paper basket overwhelmed by a Gordian knot of onion ribbons with crispy, flaky batter. Salt 'em up good and be ready with extra napkins.